It has been reported by multiple news sources that, after a passenger alleged corruption, a man slapped railway employee Boloram Das in the face at Ishwardi Railway Station. That is brutish behaviour, for sure, and it deserves condemnation, but such an incident generally would hardly justify an opinion piece. 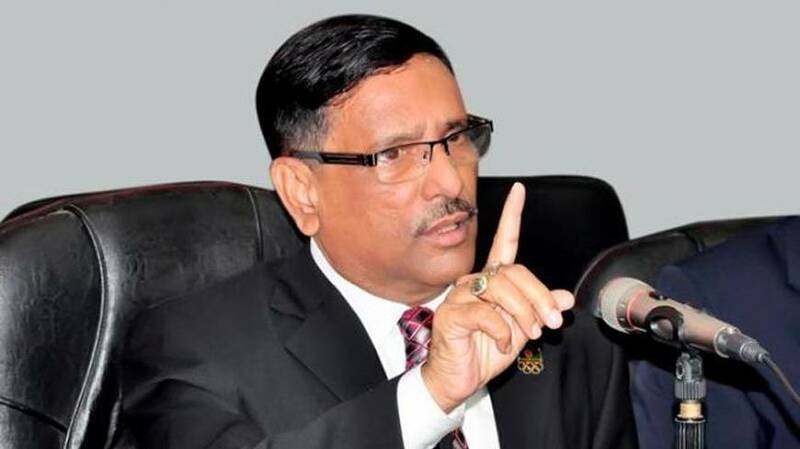 The man, however, was Communications Minister Obaidul Quader. Mr. Quader is a public servant. Being in a position of authority and trust he should be held to higher standards than the average citizen. If an average citizen had slapped the face of a prominent politician who is known to be corrupt, and I am afraid there is no lack of such politicians, he or she would likely face assault charges. Do not get me wrong: Mr. Das must be held accountable, if he in fact, as is alleged, illegally demanded money from a train passenger. But it is no more acceptable for a minister than for any other citizen to take the law into one’s own hands. While it would have been Mr. Quader’s duty to take appropriate legal action against Mr. Das, he reportedly instead took recourse to violence and humiliation as a means to express his disapproval of Mr. Das’ behavior. A slap not only injures, it also demeans, and it is furthermore an insult to democracy, when delivered by a member of the government. With role models like Mr. Quader, should it surprise us that young people sometimes resort to undemocratic means to vent their anger – as in the recent violence at Jahangirnagar University? If seemingly not even government officials have faith in the justice system, how can we expect students to take their grievances to court instead of taking the law into their own hands? If the news reports are accurate, then Mr. Quader broke the very law he vowed to uphold and betrayed the trust that was bestowed upon him by the public. At the very least, he must publicly apologize to Mr. Das. This public apology is necessary because, if it is not delivered, then we are left to believe that respect is considered a privilege, only afforded to those who think they are better than everyone else.